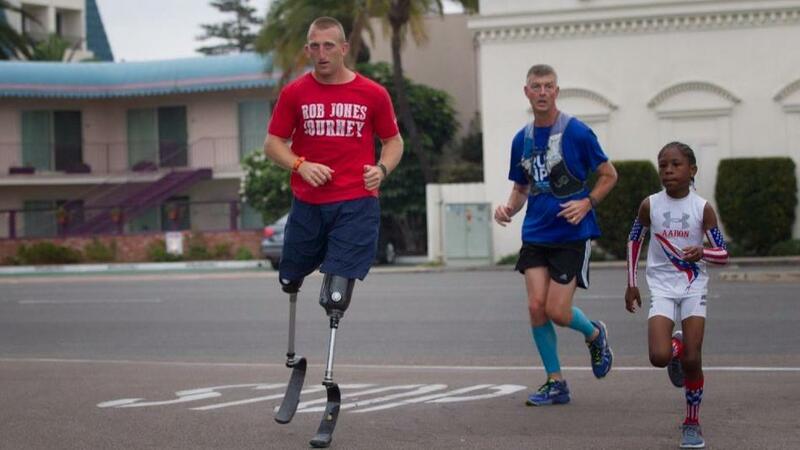 "Rob Jones has set out to do what no person has done before him – to run 31 marathons in 31 days, in 31 different cities, all on dual prostheses. He ran number 19 in Coronado today in a series of laps between the Hotel Del and Silver Strand. Rob is doing this to raise awareness and funds for three charities: the Coalition to Salute America’s Heroes, the Semper Fi Fund, and Tunnels to Towers Foundation. 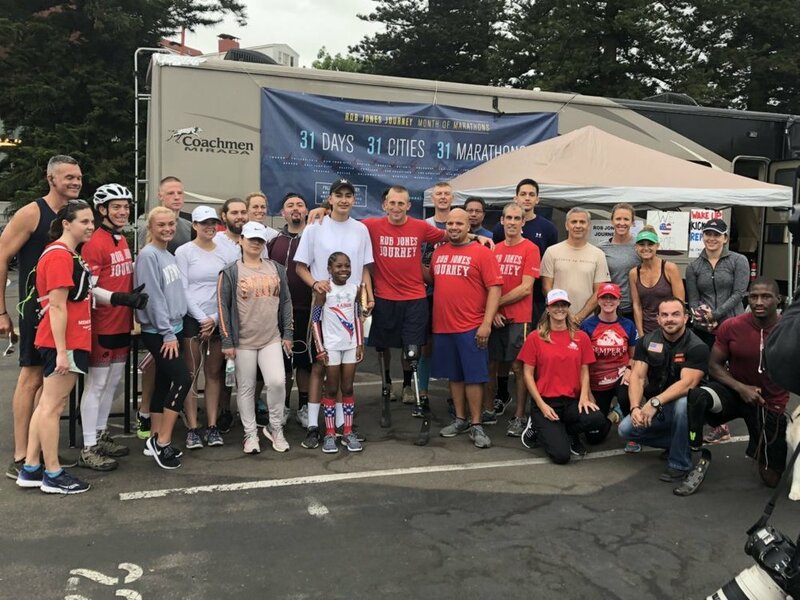 The first two of these focus on helping wounded service members and the last one helps both wounded service members as well as first responders." "Sunday night, a bus-length RV sporting “Rob Jones Journey” parked at the Hotel del Coronado. Monday, Jones woke up around 5:30 a.m., stretched, ate a light breakfast. By 7 a.m., he had fastened his prosthetics, bounded out of the RV and hit the road. He was joined by at least 20 other runners — school children, veterans, civilians — and dozens of spectators. The audience included Phil Noble, Matt Carpenter and Eric DeAvilla, former Marines who had served with Jones in Afghanistan’s Helmand province."